We feel that you can never have enough good tips to help out in the garden and landscape areas of your home. 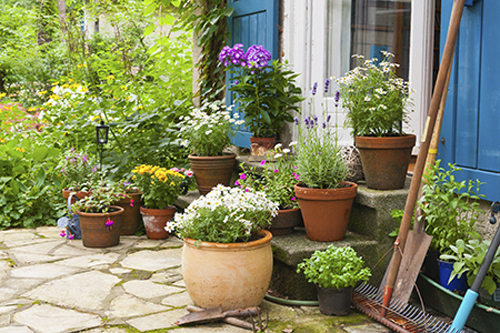 We would like to share a few more that cover everything from cleaning clay flowerpots to plants. 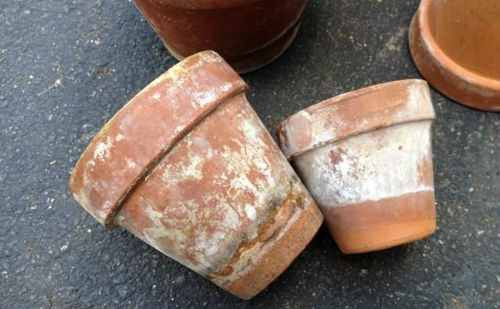 Clean salt off clay flowerpots - clay pots are notorious for ugly salt deposits and other debris that can harbor disease or dehydrate stems resting on them. To clean off the salt, mix a solution of one part bleach to nine parts water. Let pots soak for 10 minutes, then place in a solution of dish detergent and water. Scrub with a wire brush to remove mineral deposits and other debris. Rinse thoroughly and soak pots in bucket of clean water till ready to use. 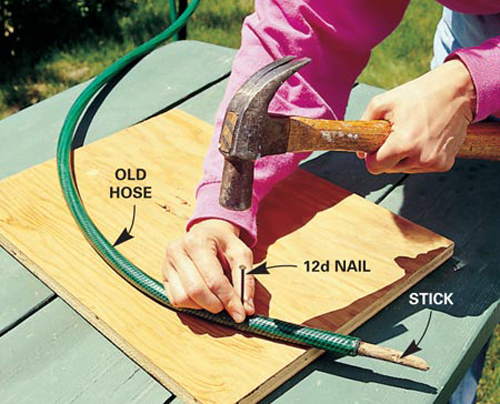 Recycle an old garden hose by making it into a soaker hose. Just drill 1 to 2 inches apart on one side. Attach one end to a water spigot and cap the other end. Turn the water to a low flow for a half hour once or twice a week. Add a timer for auto watering. Cover the hose with much. Wait before mulching. Allow soil to warm up and dry out a bit before mulching in spring. 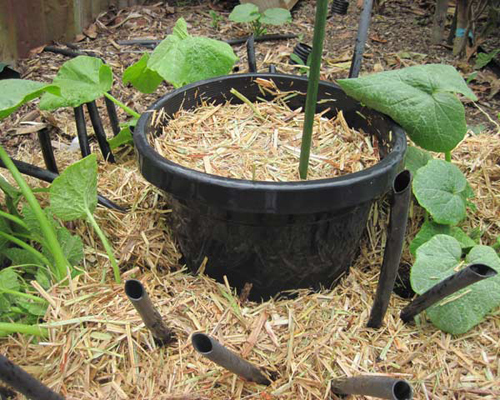 Fluff up existing mulch before adding more so it doesn't form a hard surface that deflects water. Avoid creating a volcano of mulch around plants. Strive instead for a donut effect. Ensure peony blooms. Peonies are among the easiest plants to grow in a garden pot but many gardeners, miss out on the flowering. 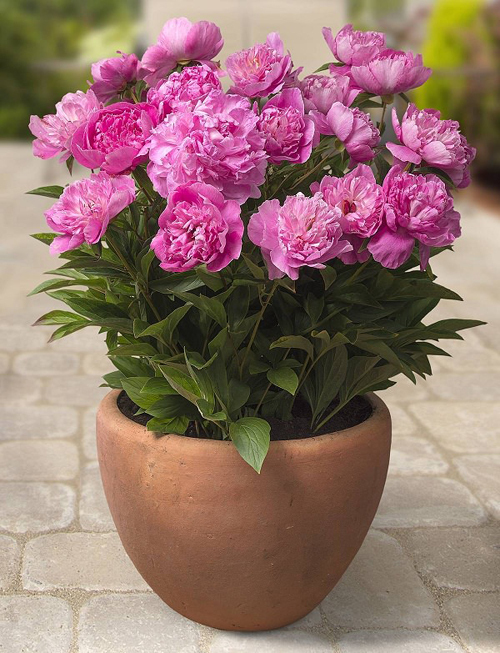 Place potted peonies where they receive at least 6 hours of sunlight every day. Wait to cut the foliage until after the first frost so leaves have the opportunity to return food reserves to the roots for next years blooms. Add off season plants to your pottery. When shopping for plants in spring, add out of season stalwarts such as aster, chrysanthemum, and goldenrod. They may look boring in your shopping cart but in a few months you will be glad you have them to beef up your landscape. So, hope you got some good ideas here.